Home / Archive by category "Online Auction"
Hey! I’m back! Hopefully you’ve gotten over being confused about the main types of auctions, because now I’ve got a few more auction types for you. Today, we’ll discuss reserve auctions, absolute auctions, and minimum bid auctions. Ready? Good! 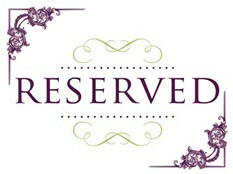 Reserve Auction: Have you ever had a reservation over something you had to decide? Or booked a reservation at a hotel? Perhaps reserved a place for your friend next to you in the lunch room? Well, then you have a sense of what a reserve auction is. When something is reserved, it is held in place until certain conditions are met. 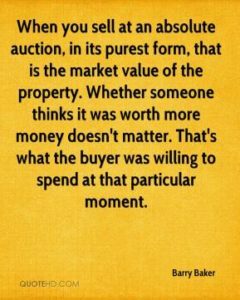 At a reserve auction, the item up for bid has a reserve price: a hidden price that must be met before the item is allowed to be sold. It’s the minimum amount that a seller is willing a accept for his item that’s up for auction. The seller is under no obligation to sell unless the reserve has been met. When bidding on-line, you will see an obvious icon showing either “Reserve not yet met” or “Reserve met”. Just like any on-line auction, you should probably place your maximum bid, otherwise you risk being outbid by another bidder. If your maximum bid exceeds the reserve (which you don’t know), the program will find the bid increment closest to the reserve price and bid that for you. Confused yet? I’m sure that was clear as mud. SO…let’s look at it this way. Bob goes to Hueckman Auction’s website and sees a trilobite (that’s Wisconsin’s state fossil!) that he would like to add to his collection. He sees that he has almost 1 day left to bid, that the next bid increment is $10. Bob also sees the words “Reserve Not Met” in bold blue print next to the bidding box. Bob doesn’t know that Luanne is selling the trilobite and that she has decided that she needs to get at least $10 for this specimen and so has set a reserve price of $10. If the bidding doesn’t reach this amount, she doesn’t want to sell the trilobite, and is under no obligation to sell it. Minimum Bid Auctions: In a minimum bid auction, the auctioneer will set a minimum amount that must be bid in order for the item to be sold at auction. For instance, an auctioneer might insist that he will not take a bid lower than $5 for a box of toy trains. That’s the minimum bid. He won’t take a bid of $1, like some folk like to do. If he can’t get someone to start the bidding at $5, he’ll set the trains aside and move on to the next item. Did this help you? I absolutely hope that you hold no reservations, no matter how minimal, about types of auctions. (Clever, eh?) If you do have questions, send us a note and we’ll try to answer it the best we can. 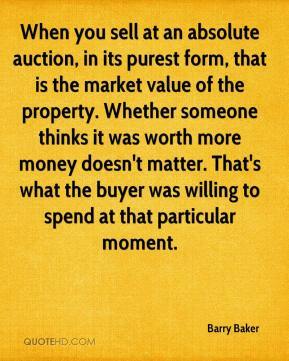 What do you think of when someone says the word “auction”, or says that they are going to an auction? Do you immediately think of a bunch of upper-class people dressed to the nines, sitting on fancy chairs, silently holding up a paddle to bid (or lightly touching their nose or giving an almost imperceptible nod of the head) while an auctioneer is dressed in a tuxedo with tails and the ringers in evening gowns and tuxes show off the items like Vanna White? Or do you envision of a bunch of county farmers chewing on strands of straw, standing around a barn yelling “Yep!” each time they want to bid on a bunch of old rusty stuff? Or perhaps you think of a bunch of items on a table with a piece of paper on them and people write down their bid and then keep walking around enjoying the fair, coming back on occasion to see if they’ve been outbid? Obviously, the word “auction” means different things to different people. So, if you’ve looked at some of the past blogs, you’ll notice that we’ve referenced a couple different types of auctions. Hopefully, by the time you finish reading this blog, you’ll understand what each main type of auction is, and why that type of auction is chosen. The easiest reason why there are so many different types of auctions? Different reasons may lead you to try a different type of auction. Different strokes for different folks. Live Auction: A live auction is your traditional auction. Within this, you have a couple different variations. There is the auction house / ballroom format, and the on-site or on-location auctions. These are open or transparent auctions in that people know what the other person is bidding and who is doing the bidding because you can see them. Let’s take a closer look at both of these. Auction House: At an auction house or a ballroom auction, the auction is held in a large room. The auctioneer stands at the front of the room and items/lots are brought to the front by ringers to be auctioned off by the people in attendance. Each auction house has its own “flavor”. Some favor a very quiet bid floor where people hold up their little paddles and nobody other than the auctioneer says anything (or much of anything). Other auctioneers like a bit more life in their auctions and encourage people to move around and be vocal about their bids. 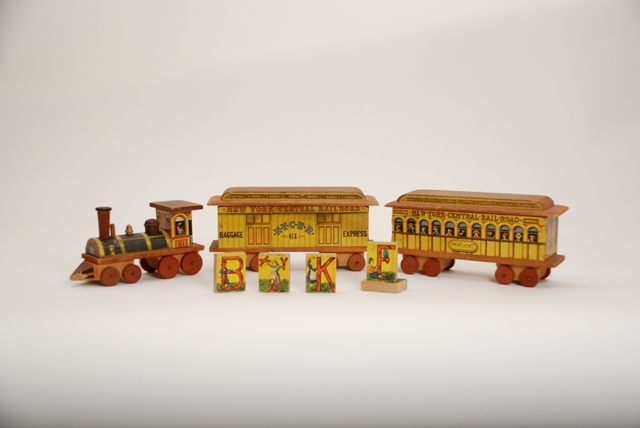 This type of auction lends itself best to consignments and may have several different sellers. If you only have a couple choice items to sell, this may be the way to do it. On-Site / On-Location: If when someone says “auction”, this is what most people envision. You drive out to the location, usually someone’s home, and the auctioneer conducts the auction, often moving around from one area to another to auction off items. Sometimes this is called an estate auction, as people are auctioning off a great many items from their estate to the highest bidder. To paraphrase Forest Gump: “An estate auction is like a box of chocolates; you never know what you’re going to find to bid on”. On-Line Auction: This has become more popular as the internet has gained popularity. Perhaps you have items to sell and want to reach a larger audience than just your city and surrounding burgs. Yes, now, you too can enjoy some of the benefits of an auction in the comfort of your own home. You don’t even have to change out of your jammies if you don’t want to. To take part in an online auction, you simply register as a bidder (including your credit card number to secure your bids), then scroll through the items for that auction. Then if you see something you really like, you type in the amount you want to bid, click a button and Viola! You are now the high bidder on a basketful of great-grandma Johanna’s handmade aprons and embroidered dishtowels! Or not. You might have already been outbid by someone who placed a higher maximum bid. But more on THAT in a latter blog. Sealed Bid Auction: This is usually when something of greater value (selling a home perhaps) or a contracting a service (like the city is looking for sealed bids on the construction of the new pavilion in the city center) is being considered and when confidential bids are preferred. People put down their bid (and sometimes terms) in an envelope, seal it, and deliver it to a certain place by a specific time. The party involved in the selling/purchasing will then look at the bids and make their decision. Silent Auction: This is a very quiet auction. No talking aloud. Ok. Not really. But it is quiet in the sense that there is none of the traditional auctioneer banter and no one calling out bids. Often people donate items for a silent auction in the hopes of raising money for some charity or event. In front of each item is a piece of paper. Often the paper states the approximate value of the item. People then write down their name and the amount of their bid. Then the next person sees it, decides they want it, and records their name and a higher bid amount. The silent auction has a set ending time when people can come to see if they managed to win the gift certificate for a pedicure, pay for their pedicure voucher, and take it home. Now, obviously, there are a few more specific auction types within these auctions mentioned above. There is the absolute auction, the reserve auction and the minimum bid auction, just to name a few. But I won’t confuse you with those now. I’ll save that for another time. In the world of auctions and estate sales, it is sometimes confusing as to how things work with technology becoming more and more a part of our lives. We hope to be able to help you get a deeper understanding of these things by answering common questions to the best of our knowledge. One question that we get asked a lot is “What is the difference between an online auction and online absentee bidding?”. Online Auction: An online only auction is automated and takes place solely online. The bidding for each lot is opened at the price set by the auctioneer. It usually starts at a set time, stays open over an extended period of hours or days, and closes at a set time. During this period of open bidding one will be able to see the current high bid on each lot. You will not be able to see what the other bidders’ max amounts are. You may place a higher bid at a defined bidding increment you choose. The bidders are sent an email if they are the high bidder, or if they have been outbid by another competing bidder. At the end of the bidding period, if the highest bid offered meets the minimum price designated by the seller as acceptable, the lot is sold. Bidding on all lots in a online only auction begin to close at a specified time. They usually have lots closing at regular intervals until the auction has ended. Some timed auctions allow extended bidding. This is often referred to as soft closing. This happens if a bid is placed on a lot within a specified time before closing; the bidding then may automatically be extended for a set period of time. Length of extended bidding is set by the Auctioneer before the opening of the auction. Online Absentee Bidding: Say you find a lot (item) that you really like but you can’t make it to the live auction…You don’t have to! Instead you can place an “absentee” bid. When you find a lot on which you want to bid, register to take part in the corresponding auction. Once you’re approved, go back to the lot page and input the maximum amount you are willing to pay for the particular lot in question. This amount is your absentee bid (left bid). Approved bidders can place absentee bids up to one hour before the start of the live event. Once the auction starts, we then “process” all the absentee bids and calculate the winning absentee bid. This is the second highest bid plus one bid increment. This winning absentee bid value will then be communicated to the auctioneer. • Once we clear all the absentee bids, Frank will emerge as the winning bidder. The winning absentee bid amount for $1,600 ($1,500 plus one bid increment of $100). When the live auction starts, we tell the auctioneer about the Internet absentee bid for $1,600. If no higher bids are received during the auction, Frank will be the winner. If a floor bidder places a bid above $1,600, the computer software (or the person bidding on the absentee bidders behalf) will then bid on Frank’s behalf up to his maximum of $2,000. We will never bid higher than Frank’s maximum amount. Sometimes bids will be caught in the middle or what is also sometimes referred to as footing. • Brenda places the next bid and wins the auction at $1,300. So even though Bill has a max bid of $1300, Brenda wins the item at $1300 because she had the high bid at that point . Hopefully that helps give a clearer picture of what is going on with online auction bidding and online absentee bidding. We will have another common question soon for you to look at. Also, if you have questions that you would like to see answered on this blog, just send us a message.